Just a brief posting today to wish everyone a very happy holiday season. I am taking some down time thru the end of the year to visit family "up North." So, until next year, may your databases run without a glitch and here's hoping you all have an enjoyable holiday! Let's go back in time... almost three decades ago... back to the wild and woolly 1980s! And watch our favorite DBMS, DB2, grow up over time. Version 1 Release 1 was announced on June 7, 1983. And it became generally available on Tuesday, April 2, 1985. I wonder if it was ready on April 1st but not released because of April Fool’s Day? Any old-time IBMer out there care to comment? Initial DB2 development focused on the basics of making a relational DBMS work. Early releases of DB2 were viewed by many as an “information center” DBMS, not for production work like IMS. Version 1 Release 2 was announced on February 4, 1986 and was released for general availability a month later on March 7, 1986. Wow! Can you imagine waiting only a month for a new release of DB2 these days? But that is how it happened back then. Same thing for Version 1 Release 3, which was announced on May 19, 1987 and became GA on June 26, 1987. DB2 V1R3 saw the introduction of date data types. You might notice that IBM delivered “releases” of DB2 back in the 1980s, whereas today (and ever since V3) there have only been versions. Versions are major, whereas releases are not quite as significant as a version. Version 2 of DB2 became a reality in 1988. Version 2 Release 1 was announced in April 1988 and delivered in September 1988. Here we start to see the gap widening again between announcement and delivery. V2R1 was a very significant release in the history of DB2. Some mark it as the bellwether for when DB2 began to be viewed as a DBMS capable of supporting mission critical, transaction processing workloads. Not only did V2R1 provide many performance enhancements but it also signaled the introduction of declarative Referential Integrity (RI) constraints. RI was important for the acceptance of DB2 because it helps to assure data integrity within the DBMS. No sooner than V2R1 became GA than IBM announced Version 2 Release 2 on October 4, 1988. But it was not until a year later that it became generally available on September 23, 1988. DB2 V2R2 again bolstered performance in many ways. It also saw the introduction of distributed database support (private protocol) across MVS systems. Version 2 Release 3 was announced on September 5, 1990 and became generally available on October 25, 1991. Two very significant features were added in V2R3: segmented table spaces and packages. Segmented table spaces have become the de facto standard for most DB2 data and packages made DB2 application programs easier to support. DB2 V2R3 is also the version that beefed up distributed support with Distributed Relational Database Architecture (DRDA). Remote unit of work distribution was not available in the initial GA version, but IBM came out with RUOW support for DB2 V2R3 in March 1992. And along comes DB2 Version 3 announced in November 1993 and GA in December 1993. Now it may look like things sped up again here, but not really. This is when the QPP program for early support of DB2 started. QPP was announced in March 1993 and delivered to customers in June 1993. Still though, fairly rapid turnaround by today’s standards, right? V3 greatly expanded the number of bufferpool options available (from 5 pools to 80). There were many advances made in DB2 V3 to take better advantage of the System 390 environment: V3 introduced support for hardware assisted compression and hiperpools. It was also V3 that introduced I/O parallelism for the first time. The "jumble" of words shown here is a Wordle, which is a "word cloud" of text. I fed my blog location into the Wordle generator and it created this pretty picture based on the words I most commonly use here in this blog. The cloud gives greater prominence to words that appear more frequently in the source text. No surprise that "DB2" and "data" dominate the other words! Today’s blog entry is a little late seeing as how this is Friday and IOD is over, but I’m writing about Wednesday morning’s keynote session highlighted by Malcolm Gladwell. For those who do not know him, Malcolm Gladwell is a Canadian journalist and author best known as the author of the books The Tipping Point (2000), Blink (2005), and Outliers (2008). I’ve read all three of them and I highly recommend that you do, too. He also has a new book, What The Dog Saw, that I bought at the airport on the way home from IOD. I hope it is as good as the other three! Gladwell’s books deal with the unexpected implications of research in the social sciences. He spoke about some of these during his keynote session in a very entertaining and informative way. It was especially rewarding to hear him tie his messaging into the conference them of information-led transformation… and to hear him call all of the attendees mavens (read his books to understand that term). Gladwell began his talk by noting the irony of hosting a conference dealing with information analytics in Las Vegas, of all places. You would think that the casinos might have an interest in that topic! The major idea conveyed by Gladwell during his talk focused on change, and how it never occurs the way you think it will. He explained how radical changes happen much more quickly than we imagine. And he used a story about how the broadcast of a major prize fight transformed radio from a niche product to a transformative one. He also talked about reframing as being necessary to elicit major changes. Prior to broadcasting the boxing match, radio was used to deliver news and classical music. But reframing it as a product for the delivery of real-time sports coverage – reframing its use – caused major transformation. Gladwell also highlighted Apple and the iPod. The iPod was not the first portable MP3 product, but it is the most successful. Because Apple simplified the interface and promoted it simply… that is, they reframed the issue! I also enjoyed Gladwell’s story about how he purchased a laptop at CompUSA. Upon entering the store he was confronted with tables and tables of similar looking laptops and had no way to differentiate them. He tried the sales people but as anyone who ever went to CompUSA knows, they either couldn’t be found when you needed them or knew nothing about technology. So he called up his brother, who works in IT. He is not a well-known expert, but he is Malcolm’s maven – the guy he turns to for help. And he told him which laptop to purchase. Gladwell then went back to the CompUSA and he said he stood there pointing to the laptop his brother told him about. And about a half hour later the crack CompUSA salesman came to help him. This story highlighted the concept of the maven. He also mentioned that if the executives were watching how he confidently pointed to the machine he wanted that it might have led them to erroneously believe that CompUSA needed less experienced… and, indeed, fewer sales people. Which might have led to their demise. All in all, Gladwell was entertaining and informative – a very powerful combination. The other highlight of the keynote session, for me at least, was that I was mentioned by name as the most prolific Twitter-er at the IOD conference. Now does that mean I was the most helpful or the most annoying… I’ll leave that to you all to decide. It is Monday, October 26, 2009, and the annual IBM Information on Demand (IOD2009) conference is officially underway. Well, actually it kicked off with a bang on Sunday. The exhibition hall opened at 6:00 pm and the early goers traipsed through the vendor hall sharing stories, checking out the vnedor's wares, and looking for the latest tschotskes (the favorites seem to be a mini-book light being given out by SPSS and the nifty DB2 t-shirts being given out by SEGUS, Inc.). But the event really does not get started (at least as far as I'm concerned) until the big Monday morning kickoff, which this year was emceed by Terry Fator (the ventriloquist impersonator who won America's Got Talent) last year. He did a very nice job, and his mimicry and ventriloquism skills are great... but I think ventriloquism works better in a more intimate setting. Before Terry came on an IBMer shared several tidbits of data from research and from polls they have been taking at IOD. For example, did you know that 15 petabytes of data are created every day? Regarding the even, they shared that there are more overall attendees here than there were at last year's event (6,000+) and that the average distance folks traveled to attend #IOD2009 is 2500 miles. You can actually participate in the daily IOD polls at http://iodpoll.com. In between the entertainment respites, we got to hear from several IBM folks, including Ambuj Goyal, Arvind Krishna, and Frank Kern. According to Mr. Goyal, IBM is building an information on demand software stack to deliver trusted information. This can solve a very real problem that organizations are experiencing today. You see, it seems that one in three business leaders frequently make critical decisions based on inaccurate or non-existing information. Business executives don't just need data, but trusted information that can be relied upon for analysis to make accurate business decisions. Again, according to Goyal, he sees IBM's Information Agenda doing for trusted information what ERP did for enterprise resource processes. IBM will help move its customers from information projects to information-based architecture and operations, moving organizations from information on demand to information transformation. Then Frank Kern hosted three IBM customers as he asked each of them to explain how they benefited from IBM's Information Management solutions. The representative from BlueCross BlueShield talked about their data warehouse with 54 millions records, which happens to be the largest healthcare data warehouse in the world. Their analytical data is made available thru a portal. Offering integrated healthcare details helps improve healthcare. And the Chevron representative spoke about how IBM has helped Chevron improve its supply chain operations using integrated information. And Arvind Krishna, GM of the Information Management group at IBM, told about IBM's on-going investments in research and development for IOD. So far, IBM has invested over $12 billion in R+D and acquisitions. IBM also unveiled some announcements today at IOD including several new offerings to provide organizations with analytics capabilities to make better use of their archived information and improve business processes. These offerings are part of IBM's unified archiving strategy called IBM Smart Archive. Most intriguing to me is the preview of a SaaS offering called IBM Information Archive Cloud Services. The entire press release can be read here, if you're interested in the topic. I also attended a presentation on DB2 X which was quite interesting, too. Delivered by Jeff Josten, there was much good news for mainframe DB2 folks including improved performance, temporal support, improved utility operations, hashed data and access paths, and more. I tweeted about this quite extensively on Twitter. In fact, if you want to follow my tweets all week (well, thru Wednesday) be sure to follow me on Twitter at http://www.twitter.com/craigmullins... even when I'm not at a conference like IOD, I regularly tweet on DB2, database, and information management topics. IBM is hosting a free webinar on November 3, 2009, offering a technical preview of the next version of DB2 for z/OS, currently known as DB2 X (but we all know, err, ah, think it will be called DB2 10). If you work with DB2 on the mainframe you will want to set aside some time to attend this informative DB2 X webinar. It will have information for DBAs, as well as for Managers, Application Architects, Developers, System Administrators, System Programmers, and System Architects... and that is just about anyone who works with DB2. The speaker will be IBM Distinguished Engineer, Jeff Josten. How do you participate, you may be asking? Well, that is easy. Simply click on over to DB2 X for z/OS Technical Preview and register yourself. The webinar will be held on November 3, 2009 at 11:00 a.m. Eastern Standard Time, 4:00 p.m. UTC. Just a quick post today to remind everybody that the annual European IDUG conference will be held next week (the week of October 5, 2009) in Rome, Italy. And it is not too late to ensure that you will be there to hear the latest and greatest news, tips, tricks, and guidelines on our favorite DBMS - IBM's DB2! For those of you not lucky enough to be there keep an eye on my DB2portal blog here where I will attempt to summarize the key events of the week. And if you are a Twitter aficionado, be sure to follow me on Twitter as I will try to make regular Tweets about the event (as long as my Blackberry works in Rome). Lock escalation is the promotion of a lock from a row, page or LOB lock to a table space lock because the number of page locks that are concurrently held on a given resource exceeds a preset limit. But lock escalation can cause problems. Yes, when fewer locks are taken, CPU cost and memory usage can be reduced. On the other hand, escalating the size of a lock causes more resources to be locked... and that impacts concurrency with the most likely result being applications experiencing lock timeouts or deadlocks. When lock escalation occurs, DB2 writes messages to the system log. So when complaints inevitably arrive about failing transactions you can look for the appropriate lock escalation message indicating that it could be the culprit. But such simple steps are typically not sufficient to track down the root cause and take corrective actions. You need to be able to determine what SQL statement in what program and under what circumstances is causing the escalation. Doing so involves tracing and using performance monitoring tools. lock escalation in DB2 for z/OS. For those who don't know what a TechDoc is, don't worry, it isn't that complicated. It is basically a published piece of technical documentation that isn't part of a larger manual or IBM RedBook. They can be short papers, product flashes, presentations, etc. This particular TechDoc details a methodology for identifying dynamic SQL statements involved in a lock escalation. It describes which traces to start, and which jobs to run to analyze the collected traces. It also explains how to analyze the trace report to find the problematic SQL statement. You can search all of IBM's TechDocs by following this link. The IBM Information on Demand (IOD, for short) conference is rapidly approaching. The conference will be held in Las Vegas, Nevada the week of October 25 – 30, 2009 at the Mandalay Bay casino and hotel. The IOD conference is IBM’s signature event for their data and information management product lines. By attending IOD 2009 you can gain unique perspectives from IBM experts, technical leaders and visionaries as well as peers in your industry. Many of the developers of IBM’s offerings, such as DB2, Informix, and IMS, will be delivering educational sessions at IOD. And over 200 customers will share real-world experiences detailing how they have unlocked the value of their information and realized tangible and immediate return on investment. OK, so what about that discount? IBM has been kind enough to provide me with a discount code that I can share with my readers. You will need to provide the code, G09MULL, when your register for the conference and you will get a $100 discount off of your registration! An IBM userid and Password are required to register. 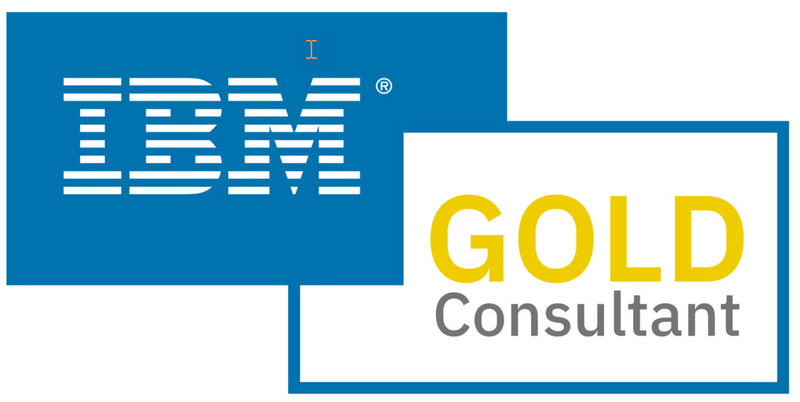 If you have an existing IBM.com account ID, please select 'Register for the Conference' and sign on. If you do not have an IBM.com account ID, please follow the link 'MY IBM ID' to obtain one. Complete the form and click 'SUBMIT'. You will then be allowed to continue as a registered IBM user. Click 'Continue' and select 'Register for the Conference' and sign on with your new userid and password. Under the 'Promotion Code Information' section, enter PROMOTION CODE G09MULL. You must enter this code to receive your $100 discount. That’s all there is to it. And you can use the promotion code multiple times for all of the folks at you company that will be attending the Information On Demand conference in 2009. Congratulations to the mainframe, just cited at #1 in the InfoWorld Hardware Hall of Fame. Okay, so maybe they are listing the hardware chronologically, but I refuse to acknowledge that. The IBM System/360 mainframe is listed first -- and that means number one, right? Actually, the entire list is interesting and entertaining, so take a moment to click over and review the InfoWorld Hardware Hall of Fame, which is littered with titans from the past (DEC, Compaq) as well as current offerings. Just a quick note to question the entire DB2 community about embracing the latest (I hesitate to call a 2 year old product "new") version of DB2. Isn't it about time that most of the DB2 base moved to DB2 V9? Why would people not be moving? Well, there is always the cost and time involved in migrating to a new version. Perhaps organizations are not willing to expend the resources needed to migrate as frequently as they did in the past. Perhaps some organizations are waiting for others to shake the bugs out of a new release. But this is troublesome. The more organizations that follow that approach, the longer it takes for those that do adopt the latest version to fully test the software. Which means that waiting might not help. There is also the possibility that some organizations do not find a compelling need for the new functionality offered by V9. Even if that is the case, most organizations still should want the performance gains to be had by upgrading. But to fully take advantage of that requires rebinding, which also takes time and resources to do properly. And then there is the issue of support for new versions. Organizations need their DB2 tool providers (ISVs and IBM) to not only support, but exploit the new features of the "new" version. Remember a few years ago when IBM entered the DB2 tools market in a big way? One of their stated objectives was to provide day one support for new versions. I wonder what happened to that objective? It is years after V9 GA and many of the IBM tools (according to IBM's own web site) only offer a "very limited number of new functions and features of DB2 9." So is your shop at DB2 V9 yet? If not, why? If so, howzitgoing? The term "data integrity" can mean different things to different people and at different times. But at a high level, there really are two aspects of integrity with respect to databases: database structure integrity and semantic data integrity. Keeping track of database objects and ensuring that each object is created, formatted and maintained properly is the goal of database structure integrity. Each DBMS uses its own internal format and structure to support the databases, table spaces, tables, and indexes under its control. System and application errors at times can cause faults within these internal structures. The DBA must identify and correct such faults before insurmountable problems occur. Semantic data integrity refers to the meaning of data and relationships that need to be maintained between different types of data. The DBMS provides options, controls and procedures to define and assure the semantic integrity of the data stored within its databases. Structural database integrity and consistency is critical in the ongoing administration of databases. If the structural integrity of the database is not sound, everything else will be suspect, too. There are multiple types of structural problems that can occur. Indexing problems are one. Certain types of database maintenance can cause such problems and DBAs need to be able to recognize the problem, and rebuild the indexes to correct their structural integrity. Indexes are not the only database objects that utilize pointers. Many DBMSs use pointers to store very large objects containing text and image data. These can become corrupted.In today's modern database systems, structural integrity is rare -- much rarer than it used to be. The more difficult and more pervasive problem is assuring the semantic integrity of the data. Getting that right requires proper design, processes that match your business requirements, good communication skills, and constant vigilance. Perhaps the number one cause of data integrity problems is improperly designed databases. Just getting the data type and length correct for each column can go a long way to making sure the right data is stored. Think about it. If you need to store dates but the column is defined as CHAR(8) how can you enforce that only valid dates are stored? You would need to code program logic to accomplish that. But if the column is defined as DATE then the DBMS would take care of it -- and more of the data would be likely to be correct. The DBA must also set up data relationships properly in the database. This is done using referential integrity (RI), a method for ensuring the "correctness" of data within a DBMS. People tend to over-simplify RI stating that it is merely the identification of relationships between tables. It is actually much more than this. Of course, the identification of the primary and foreign keys that constitutes a relationship between tables is a component of defining referential integrity. Basically, RI guarantees that an acceptable value is always in the foreign key column. Acceptable is defined in terms of an appropriate value as housed in the corresponding primary key (or perhaps null). The combination of the relationship and the rules attached to that relationship is referred to as a referential constraint. The rules that accompany the RI definition are just as important as the relationship. These rules define how data is to be properly added to the databases and what happens when it is removed. There are other mechanisms in the DBMS that DBAs can use to enforce semantic data integrity. Check constraints and rules can be applied to columns that dictate valid values. The DBMS will reject invalid data that does not conform to the constraints. More complex data relationships can be set up using database triggers. Every DBA should take advantage of the mechanisms provided by the DBMS to ensure data integrity. When DBMS-provided methods are used, fewer data integrity problems are likely to be found. Fewer data integrity problems mean higher quality databases and more proficient end users. You have to know what integrity rules are proper for the DBMS to enforce. But once defined, many of those rules can be enforced by the DBMS. And that is very good, indeed!